Snoop is a pioneer for Hip-Hop and he still does so much for music and the community. In this video he faces up against Game and Sick wit It. On Snoopa team are J-Boogy and Inches from the Venice All Stars. They are all there playing for a great cause and just for the fun who really cares who’s the winner. This is an other great song followed by a great video as they make honor to our legendary courts. 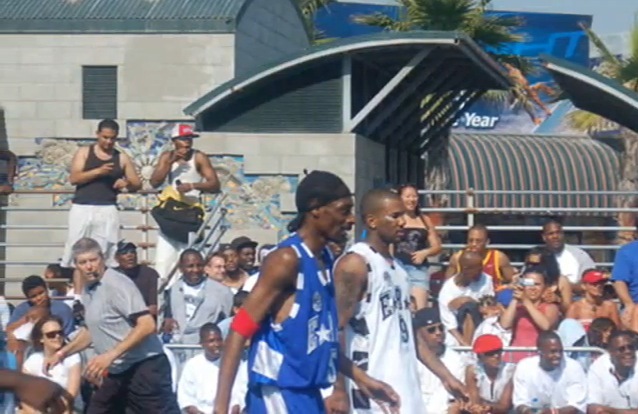 See them battlin out again this summer… You know Venice Beach is the place to be.